Germany, 1956. During a day trip to West Berlin, East Germany residents Theo and Kurt sneak into a movie theater. Pre-show newsreel footage shows a harrowing account of the citizens of Budapest trying to oust the occupying Soviets. The boys, who also live in an occupied terrority, identify with the rebels, and when they return to Stalinstadt in the German Democratic Republic, the two high school seniors express their indignation to their classmates and, with them, observe two minutes of silence in solidarity with the insurgents. But their gesture triggers an investigation by the school administration. 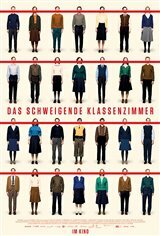 The GDR's Minister of Education demands that the students give up the names of the ringleaders who initiated the action, or face expulsion and the possibility of being banned from studying at any other school in the GDR. The vise tightens on Theo and Kurt, to the chagrin of their respective fathers, who harbored great hopes for them.